Chinese demand for prized woods like teak has led to an illegal logging epidemic in eastern Myanmar. In Myanmar, the trial of over 150 Chinese workers has sparked yet another diplomatic row and has raised questions about the stability of the Sino-Burmese relationship. Last week Wednesday, a local court in Myanmar sentenced 153 Chinese nationals to life in prison for illegal logging. In addition, another two Chinese minors were sentenced to 10 years imprisonment for the same offense. The sentences were handed down in the Myitkyina district court, in northern Myanmar’s Kachin state. The 155 Chinese nationals, most from neighboring Yunnan province, were apprehended in January of this year by members of the Myanmar army, along with a number of Burmese citizens. At the time of arrest, the loggers were found with 436 logging trucks, along with drugs and around 12000 Chinese Yuan (around 2000 USD) in currency, according to a report from Phoenix News. “We tried to make the sentences as fair as possible, but we had to consider the environmental point of view,” district deputy magistrate Myint Swe told Radio Free Asia’s Myanmar Service. The criminals were convicted under a 1963 law carrying a sentence of 10 years to life imprisonment for abusing or stealing public property. However, life sentences are commonly only served for 20 years under Myanmar’s legal system, according to the Associated Press. The trial marks a new low in Sino-Burmese relations. Since the suspension of the Chinese-funded Myitsone hydropower project in 2011, the two neighbors’ relations have steadily deteriorated. The relationship was further strained in March when fighting between the Myanmar Army and the Myanmar National Democratic Alliance Army (MNDAA), a rebel group based in Myanmar’s Kokang Special Region, spilled over the border and killed five Chinese civilians. The life sentences in this case could simply be the result of a local magistrate’s decision, however the recent downturn in bilateral relations has led some to wonder if there are ulterior motives behind the verdicts given to the loggers. One explanation is that the sentencing was given in response to Beijing hosting Nobel Peace Prize laureate Daw Aung San Suu Kyi in June. Despite the Burmese opposition leader speaking Chinese President Xi Jinping during a meeting of political parties (Daw Suu heads the National League for Democracy and Xi is the Chinese Communist Party leader), the significance of the visit was not lost on Naypidaw and the government might have taken offense at Beijing’s meeting with the opposition leader. However, Aung San Suu Kyi has met with world leaders before, including US President Barack Obama and Indian PM Nahendra Modi, and neither visit provoked such a controversial response from Naypidaw. It is unlikely that Daw Suu’s meeting with Xi is an exception. Another possible explanation for the harsh sentences is that the Myanmar government wants some sort of insurance against aggressive actions from their neighbor. If the current trend in Sino-Burmese relations is to continue, Myanmar may be looking for some sort of bargaining chip in any future interactions with China. One can imagine that a further escalation of the ethnic conflict along the China-Myanmar border prompts the Chinese to send its military into Myanmar. The Burmese could use the release of the Chinese loggers as an incentive for Beijing to withdraw its troops. While Sino-Burmese relations have indeed reached a nadir in 2015, the Burmese would have to have an extremely cynical view of the relationship to make so shrewd a move. A third view of the trial invokes a discussion of the so-called “Dream of the Golden Land,” one of the popular frameworks of the nation of Myanmar. Like China’s national humiliation discourse or US President Ronald Reagan’s “shining city upon a hill,” the “Dream of the Golden Land” is the Burmese nation’s story about itself, according to Yale University’s Josh Gordon. In the narrative, Myanmar is a land endowed with abundant natural resources, highly desired by foreigners. One has only to look at the colonial period for evidence of this. It is then the duty of the majority ethnic Bamar to protect their “Golden Land” from these covetous outsiders and since independence from the British in 1948 this has been done by expelling Chinese and Indian immigrants from the country in the 1960’s, remaining non-aligned through the Cold War and fighting off a host of ethnic insurgencies for almost six decades. The military junta’s attacks against Daw Suu as a tool of the West, the violent campaign against Rohingya Muslims and the results of this trial could also be interpreted using this narrative. In this view, by sentencing 153 Chinese loggers to life in prison, Myanmar has once again protected itself from the thieving hands of outsiders and is making an example of the offenders to avoid similar incidents in the future. There are also sovereignty issues at stake in the trial. Kachin state has long been contested by ethnic armed groups, namely the Kachin Independence Army (KIA). 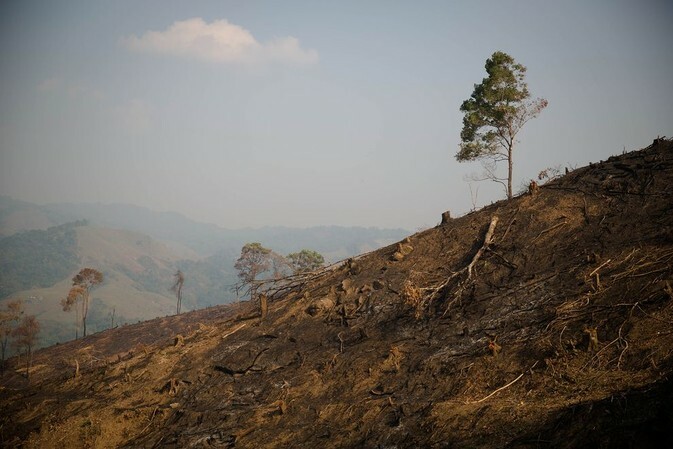 The KIA has been known to issue permits for resource extraction projects, including logging, in the areas it controls, despite the Myanmar government’s protests. This appears to be the case here. According to a report from Phoenix News, the workers in question were found with logging permits issued by the KIA. Moreover, the Chinese workers arrested in this case claimed they were unaware that they were breaking the law and believed that their permits were valid. As parts of Kachin and Shan states have switched hands between rebel groups and central government control over the past decades, Chinese and Thai businessmen have taken advantage by signing shady logging and mining contracts with insurgent armies and local Myanmar army commanders. In this case, it appears that Myanmar’s long-running civil war may have moved from the battlefield to the court room. By prosecuting Chinese workers for logging with illegal permits issued by the KIA, the Myanmar government is sending a signal that it, not the KIA is the final authority on who gets to extract resources in the country. It is a significant move, especially considering the ongoing ceasefire negotiations between Naypidaw and a number of ethnic armed groups. News of the verdicts last Wednesday provoked protests from China’s Ministry of Foreign Affairs. Chinese Foreign Ministry spokesperson Lu Kang said that Beijing is “highly concerned” with the sentences and urged the Burmese to consider Chinese concerns and “properly” handle the case, according to a report from the state-run Xinhua News Agency. On Thursday, Xinhua published a commentary on the matter, condemning the sentences and calling for the loggers to be treated in a “reasonable and sensible way.” The piece noted that China “respects laws and customs of other countries,” but also called the mass sentencing “abnormal,” questioning the impartiality of the verdict. While the Chinese government has been vocal in its displeasure with the sentencing, it has not yet gone to extraordinary lengths to secure the release of its citizens. Following the announcement of the verdict, some analysts wondered whether Beijing would involve itself in the legal process, a move which could challenge China’s existing foreign policy principles. Since its founding, non-interference in other countries’ domestic affairs has been a pillar of the PRC’s foreign policy. Intervening strongly on the Chinese loggers’ behalf could trigger an evolution in China’s non-interference and would mark an important transition in the country’s foreign policy. Until now, however, it appears that China will not take such extreme measures to see its citizens freed. Officials from China’s Foreign Ministry were in attendance for the reading of the verdict on Wednesday but there was no evidence of any further involvement. According to a lawyer familiar with the case, the loggers can file an appeal with the Kachin state judiciary and then to the Supreme Court in Myanmar’s capital, Naypidaw. Since the beginning of political and economic reforms in 2010, Burma has become a regular topic inthe news. Anyone who regular reads publications like the New York Times or the Economist would beable to consider themselves relatively well-informed about the rapidly changing situation in the Golden Land. However, much of the coverage of Burma is often ahistorical, and there is little public discussion about Burma before 2010, let alone before Aung San Suu Kyi. In River of Lost Footsteps, Thant Myint-U provides a detailed history of Burma over the past four centuries, all the while weaving in the story of his own family in Burma. Barbara Ebner on Yunnan’s Wild Mushroom Season is Here!